InLoox now! – the latest addition to the InLoox product family – has been extended by a variety of new features. The turnkey project plattform in the cloud now offers an improved project overview and makes team communication even easier. 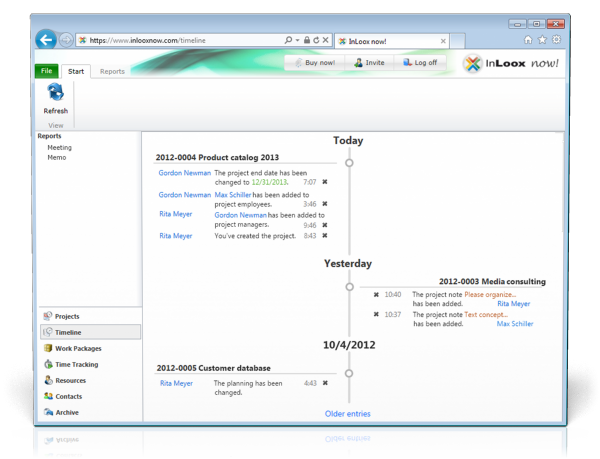 The new timeline view gives a chronologic overview of all changes made in projects. This makes it super easy to get back on track with the latest events in your projects even after longer absences. 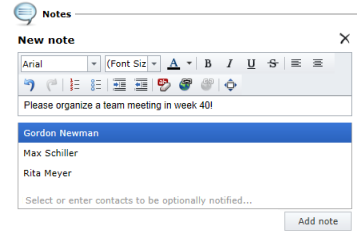 Moreover, you can now contact team members via email directly from within your InLoox now! program. In the project planning tab, when editing work packages, time tracking entries or opening activities, the email template is only a click away. Communicating is even more efficient and faster with the email templates. In addition, you can attach project related documents that are saved directly in InLoox now! or on your file server - keeping external team members in the loop was never easier. More new features in InLoox now! With the latest version, you can notify InLoox contacts about new, relevant project notes and documents with only one click. InLoox now! 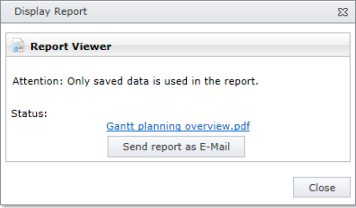 simplifies your project reporting. 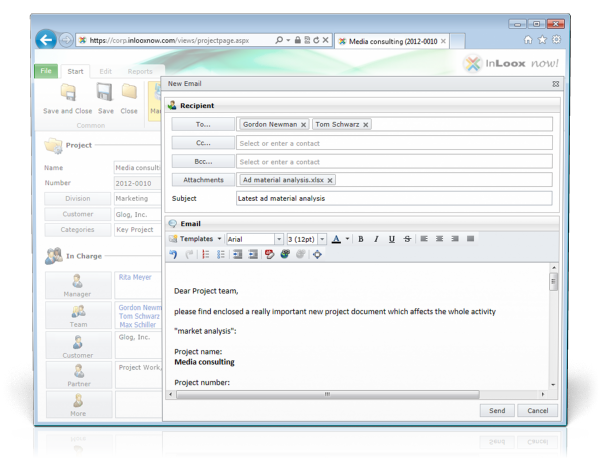 Forward InLoox project reports immediately after creating them simply as email attachment. InLoox now! is instantly ready to use. All you have to do is sign up for your 30-day free trial account. If you like InLoox now!, you can simply transfer your test account into a personal user account. We take care of all installations, maintenance and service of the server infrastructure. This takes the burden from your IT department and helps you cut down on investment and running costs. InLoox now! offers a transparent pay-as-you-go model, making it simple to integrate changing project partners. InLoox now! has minimal system requirements. All you need is a compatible webbrowser, internet access and your account information. You can use InLoox now! with your tablet PC and smartphone too! Security, availability and robustness are our priority. Thanks to the all-inclusive update regulation for InLoox now!, your project infrastructure is always up-to-date. If you should still have problems with InLoox now!, you can always reach us at our free support hotline. Find out more about InLoox now! here. InLoox now! boasting new features - InLoox • Copyright 1999-2019 © InLoox, Inc. All rights reserved.